Crystal - is the purity, sincerity and honesty. These are the qualities that every bride wants to see his wife in the future. Boutonniere with crystal and green - is not only stylish and original, but also a symbolic accessory. Wedding - a holiday in which the symbols and rituals play an important role in predicting the future couple and bring good luck. 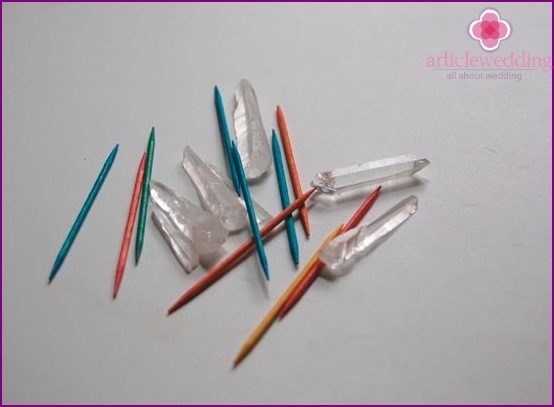 Pick up the crystal in the gift shop orSalon products for creativity. 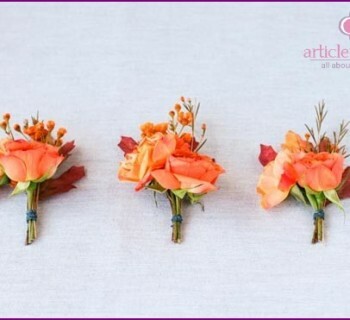 A key element of buttonholes can be any color - to match the style of celebration. 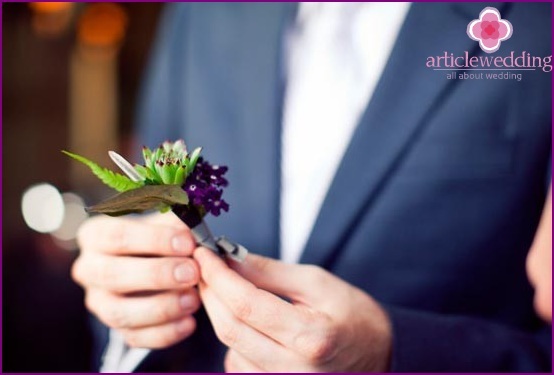 Website www.articlewedding.com sure boutonniere with crystal and greens decorate any wedding, predicting the sincerity and purity of family relationships. How to make such an accessory, read in a master class. 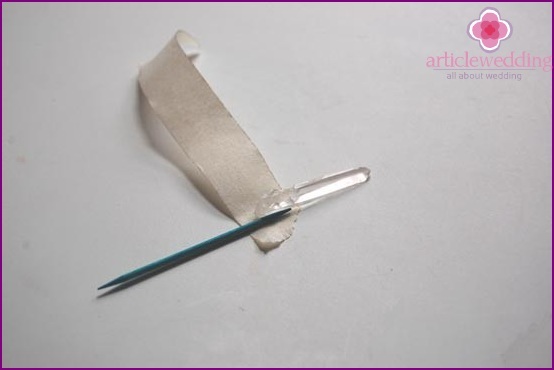 Connect a crystal wand and (future boutonnieres leg) using adhesive tape. Make sure that the crystal is securely fastened and motionless. 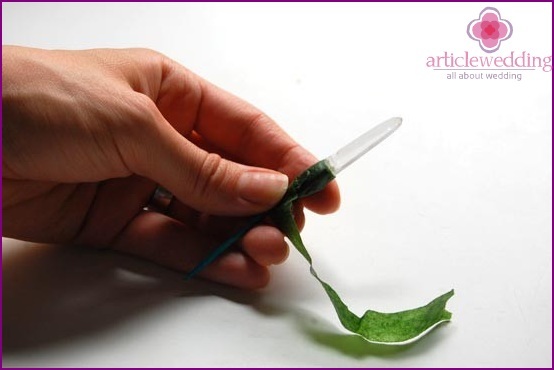 Arrange the bottom of the crystal and stem floral tape. 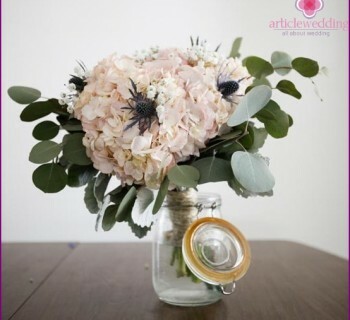 Add elements to the base of the boutonnieres. Secure the green floral tape. 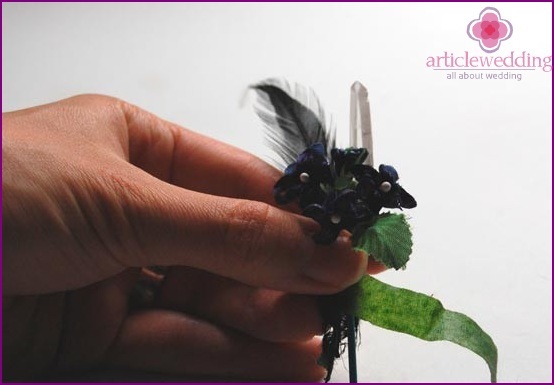 If you want more decorative, decorate the boutonniere feather. 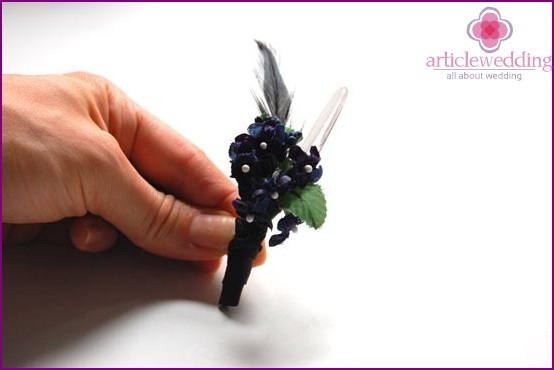 Try to keep all the elements of masked connection of a crystal with a leg boutonnieres. Arrange foot decorative ribbon. 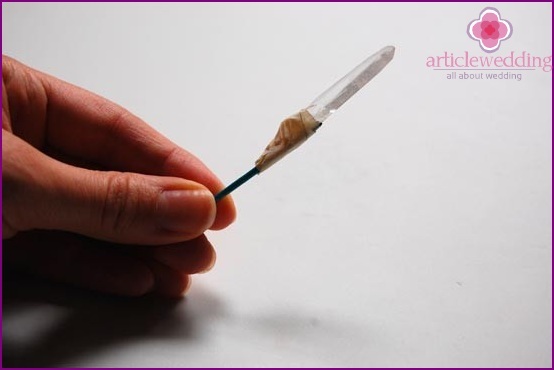 Attach adhesive tape (especially the ends). 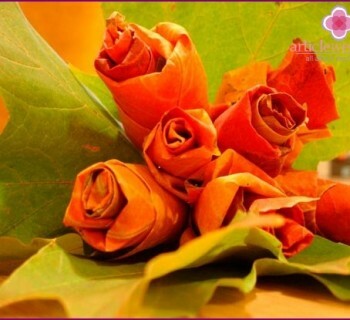 If you choose a color crystal, buydecorative strip of the corresponding color (a good option - organza or satin wedding portal advises www.articlewedding.com). 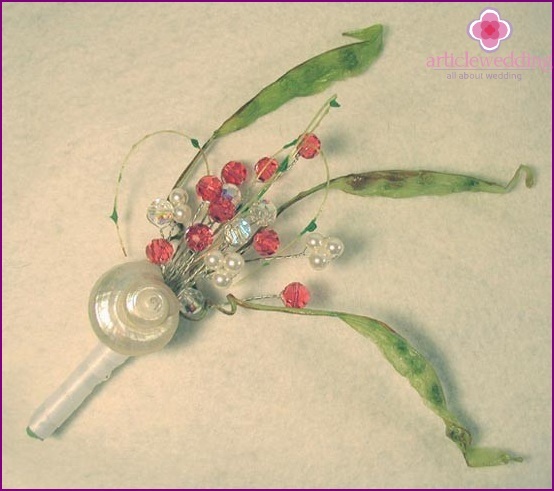 For buttonholes, the emphasis which the crystal is suitable herbs grown with their own hands. Simplicity and elegance - that will symbolize a similar wedding accessory. If you are bored with fresh flowers and greenery, replace them with parts made of artificial materials - tapes, feathers, buttons, etc. Wedding boutonniere with crystal and green -a wonderful decoration for the groom. 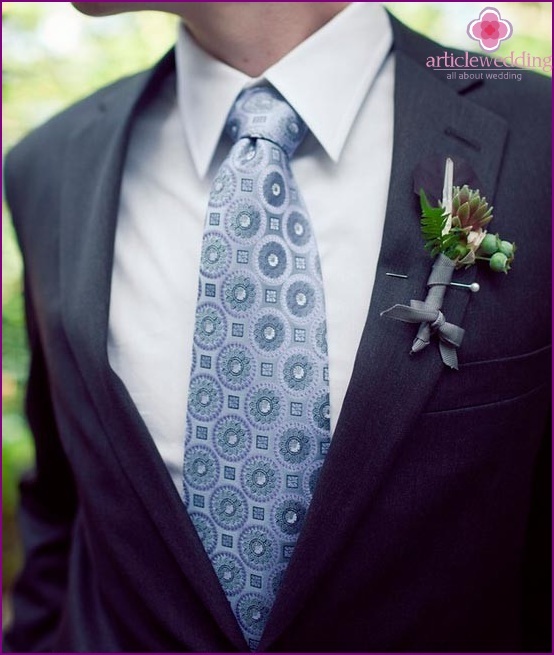 For the rest of the men at a wedding can make buttonholes in a similar style, but without the use of a crystal. An elegant accessory for almost any style wedding. 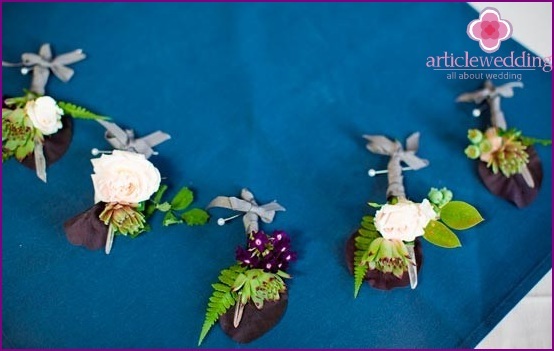 groom boutonniere with a crystal is particularly good on the fairy-tale wedding, creating sublime and immaculate image. 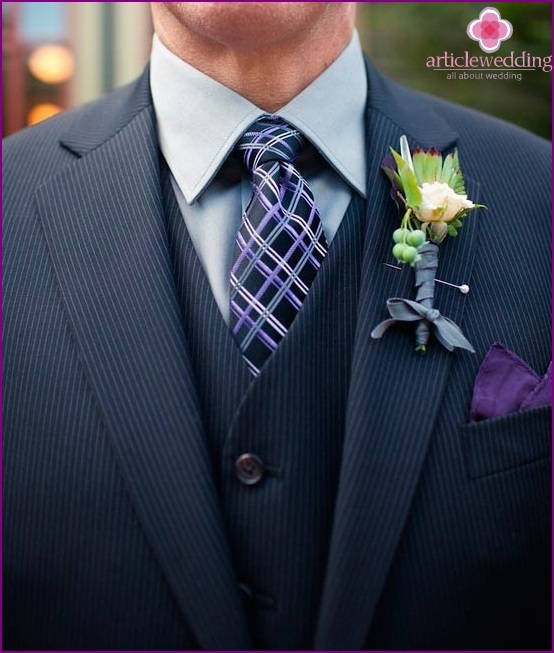 Boutonniere with crystal and green - the original accessory of the groom. Boutonniere elegant and symbolic. She points to the purity and honesty in the relationship of a young couple. Flirt - means to attract attention?